In 2009 Machine Tool Supplies Ltd became the agents for Italian company MPA srl. 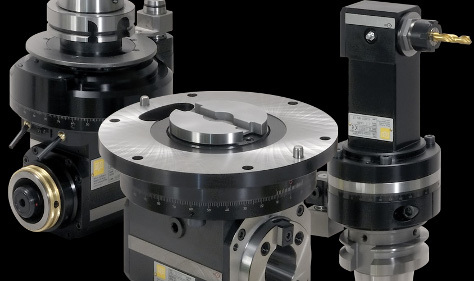 MPA have over 30 years experience in designing and manufacturing fixed 90° angle heads, adjustable angle heads +/- 90° (tilting heads), modular angle heads, multi spindle heads, speed increasers, woodworking aggregate heads. 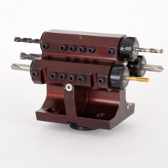 Angle heads are available with either standard ER Collet output spindles, or available with Modular output spindles. Products include both standard product as well as custom designed product to your requirements. Please contact us about a custom designed unit. Main body is made of heat-treated aluminium alloy. Solid main input shaft with the drive input taper case hardened and ground for a high tensile strength. Shafts supported by sets of super precision, pre-loaded, angular contact bearings for a greatest rigidity. Heat treated Gleason spiral bevel gears in the highest performance materials. Reduced weights and overall dimensions.